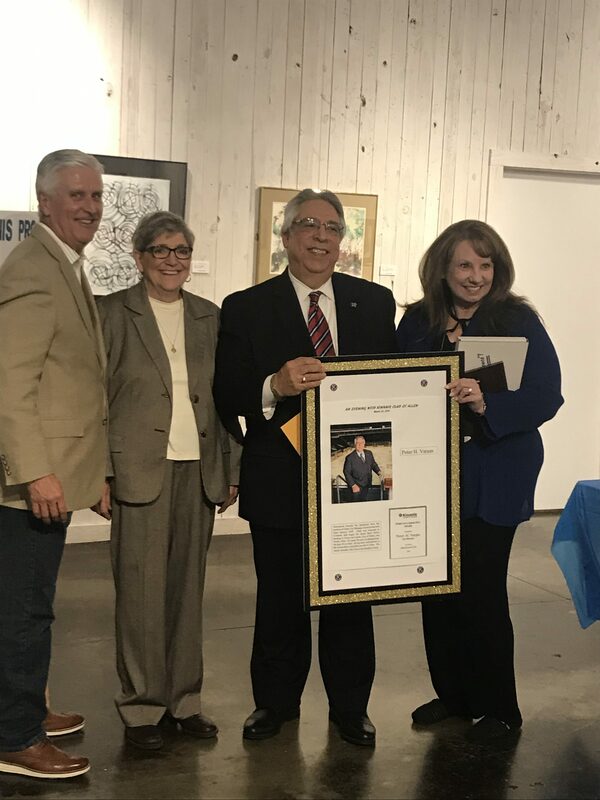 Former City Council woman, Susie Bartlemay gave a warm and thoughtful speech in honor of retiring City Manager, Peter Vargas. 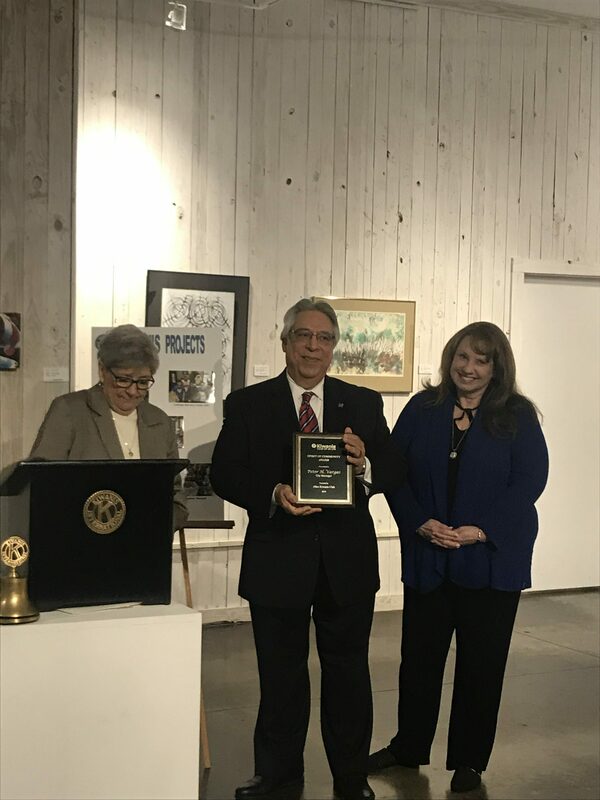 The Allen Kiwanis Club honored Mr. Vargas for his 20 years of service to the City of Allen with a celebration at Blue House Too on Thursday, March 28th. In attendance was the Mayor, City Councilman, City management, Kiwanians and guests. 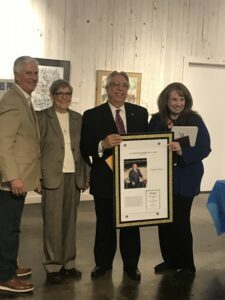 They were entertained by Magician, Alan Paoletti, music by Jeanie Clark Fisher and food and beverages by Market Street. 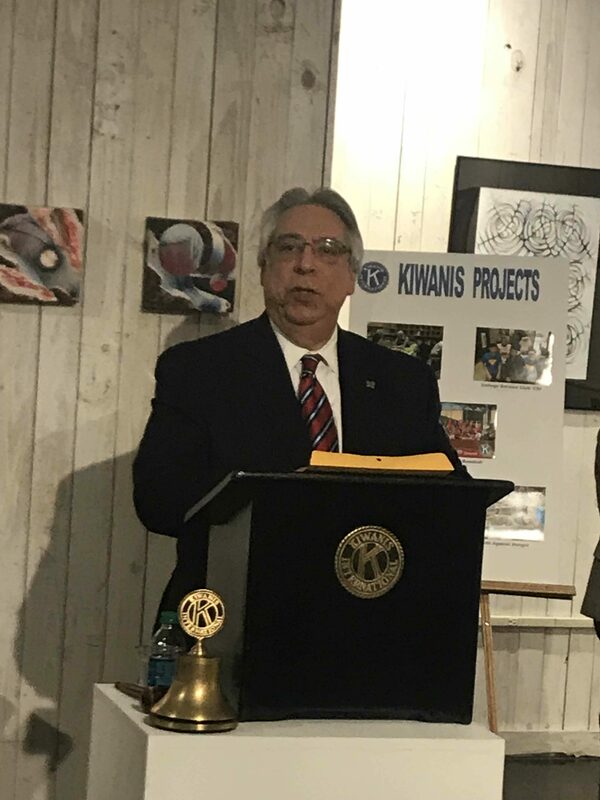 It was a wonderful tribute and Mr. Vargas was also given an honorary Kiwanis membership for the next year.